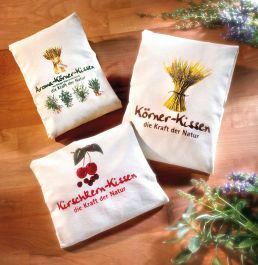 The grain sack pillow is known for its pleasant, soothing effect. With the new jersey cover, you can now experience this healing remedy in a soft pillowcase. The luxury pillow with jersey cover is a recommended remedy for a number of complaints such as bruises, toothaches and headaches. This luxury pillow not only makes an impression through its inner content, the high-quality all-round piping and contemporary print also make it a real eye-catcher. The jersey cover is available in the following colours: natural, red and anthracite. The luxury pillow measures 50 cm x 20 cm and is Öko-Tex Standard 100 certified. The pillow itself contains ca. 850 grams of natural grain mixture. 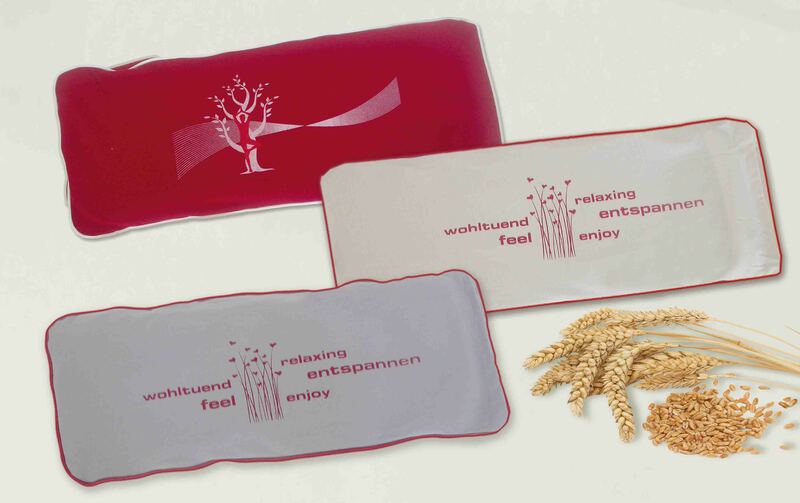 After use, the outer cover of the pillow can be washed in the washing machine without problem.